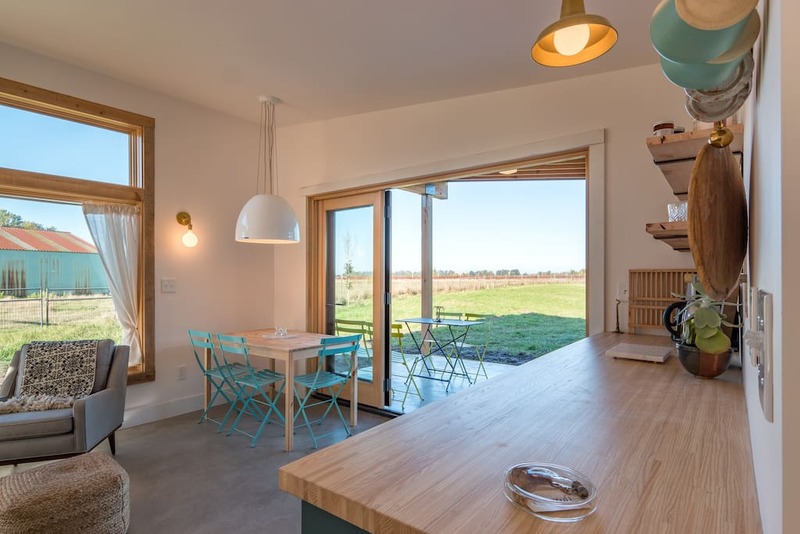 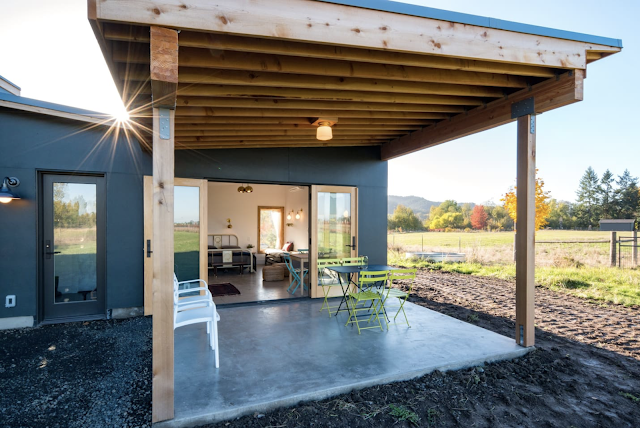 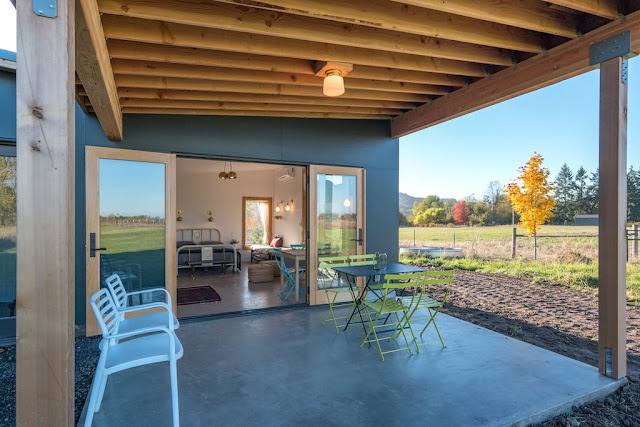 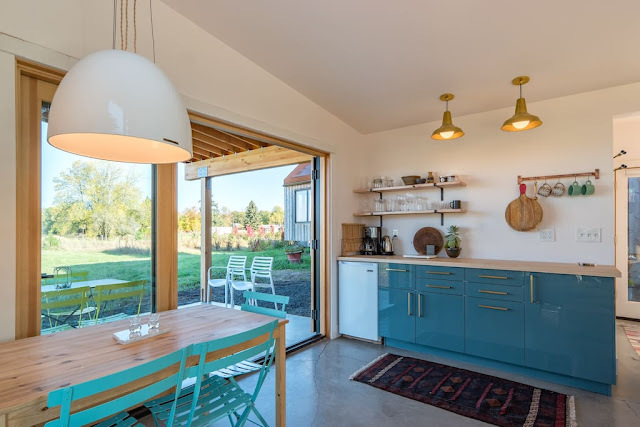 A bright, modern cabin on an organically-minded farm near Portland. 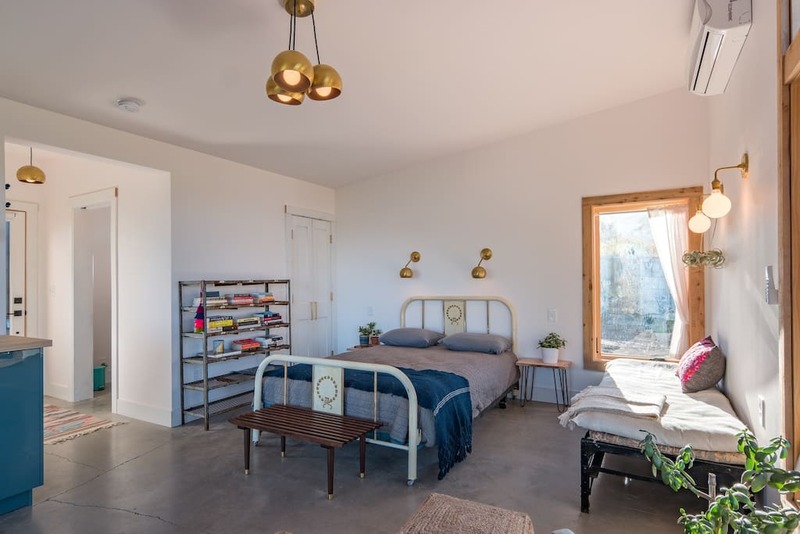 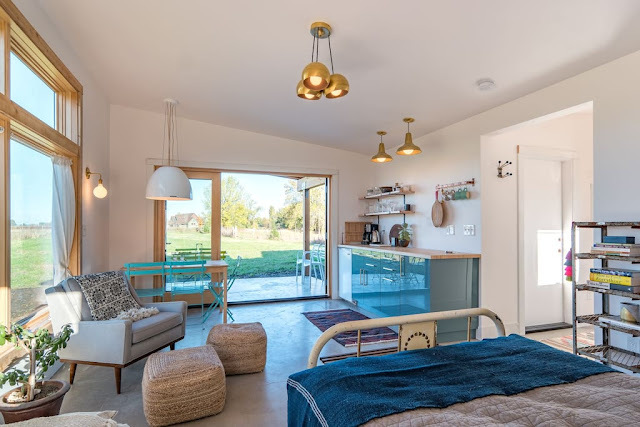 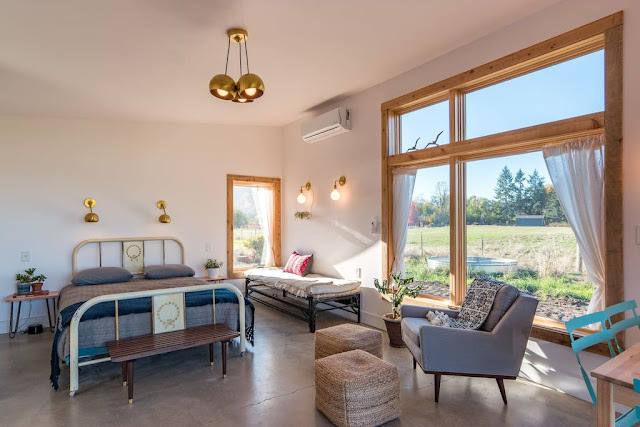 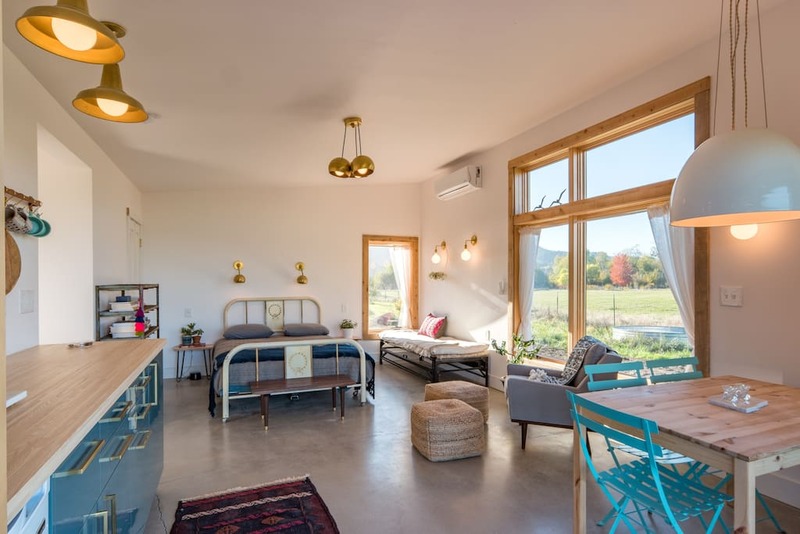 Available for rent on Airbnb, the home is a perfect getaway for nature-lovers. 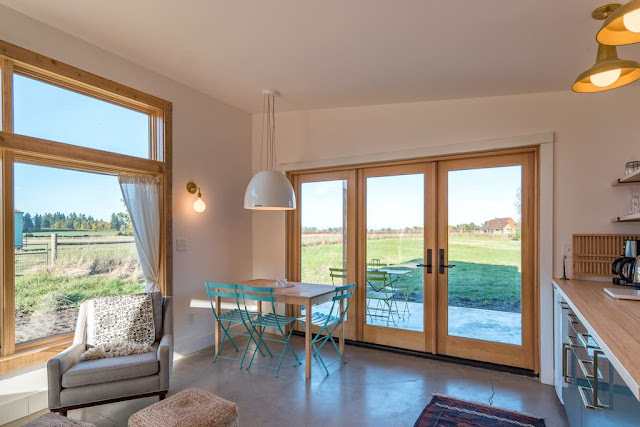 Located on the river island of Sauvie Island, there's an abundance of wildlife to check out and trails for cycling. 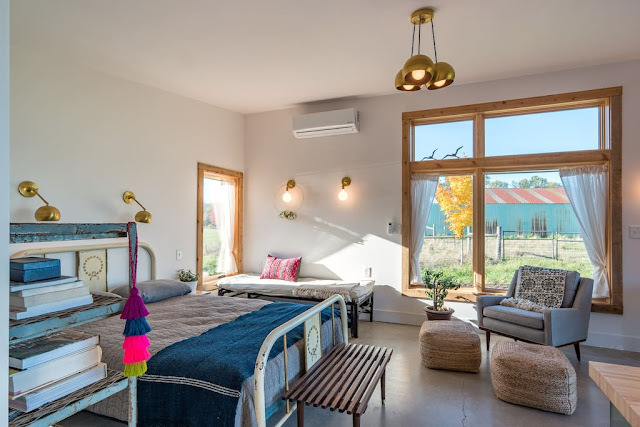 The home itself is small but has everything you need to have a comfortable stay. 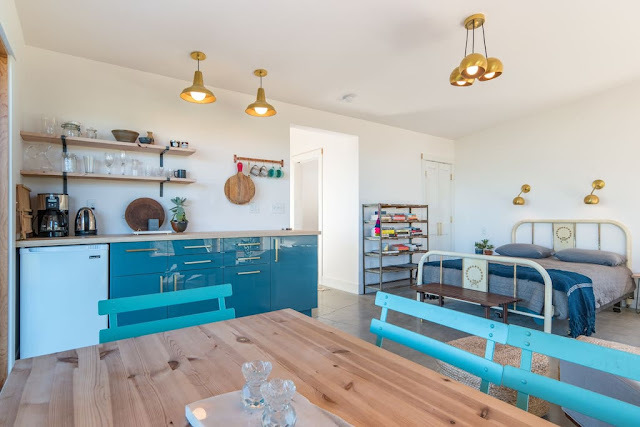 There's a kitchenette, queen-sized bed, a living and dining space, and a bathroom. 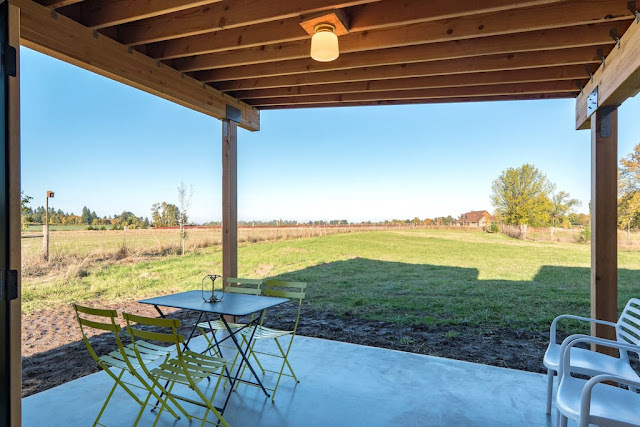 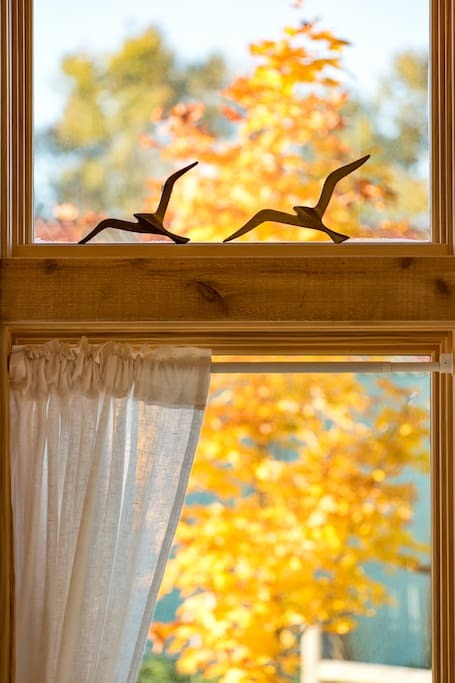 There's also a small front porch that's perfect for working or relaxing with a beautiful view!